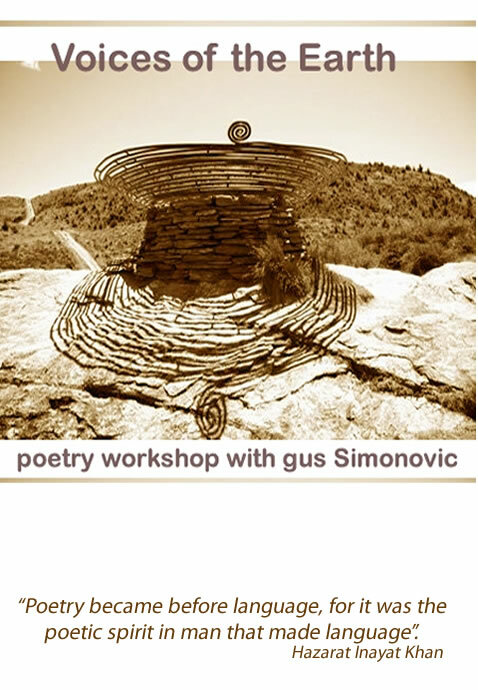 The aim of this workshop is to deepen the understanding of where are we, individually and collectively, “coming from” and what made us into what we are today, through language and poetry. A study of our belonging, our uniqueness and identity, told using our various ancient voices and adopted to our modern-day language, perceptions and expression. While examining some of the finest indigenous/sacred/spiritual verse from around the globe, participants are invited to respond in their own voice. Within a most supportive environment, where positive feedback is the only “rule”, series of simple exercises will provide a platform for participants to unleash their creative potential. We live in an increasingly homogenized world. The many Voices of the Earth—thousands of diverse human cultures and languages—are being overpowered by just a few dominant voices that have spread their reach across the planet. Instead of exploring and developing vibrant unity in diversity, we’re quickly sliding into a drab sameness, without unity. Poetry as an art form is as old as human existence. Initially developed through oral tradition and folk song, poetry predates literacy. Spoken word evolved further through writing, reading, translation and performance, and it is so central to all cultures. 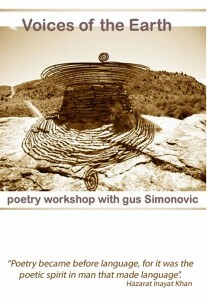 All workshop material provided, participants are invited to bring a couple of their favorite poems, to share.